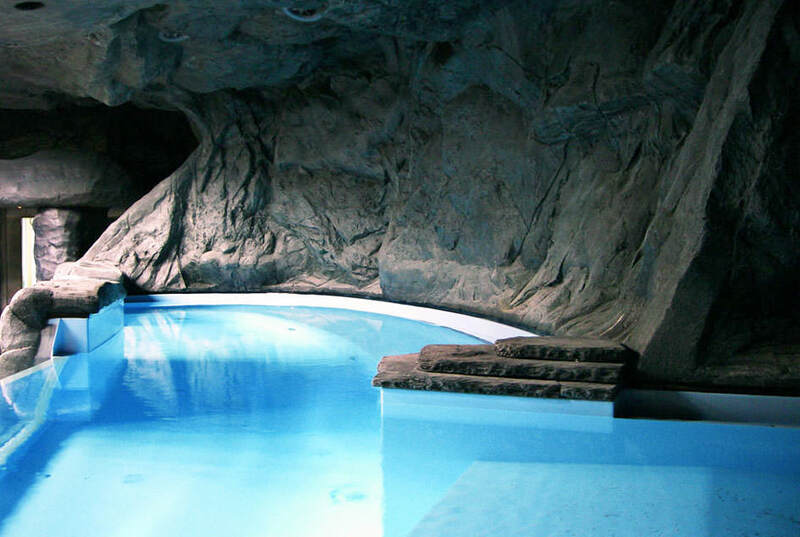 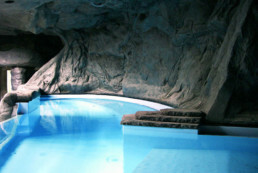 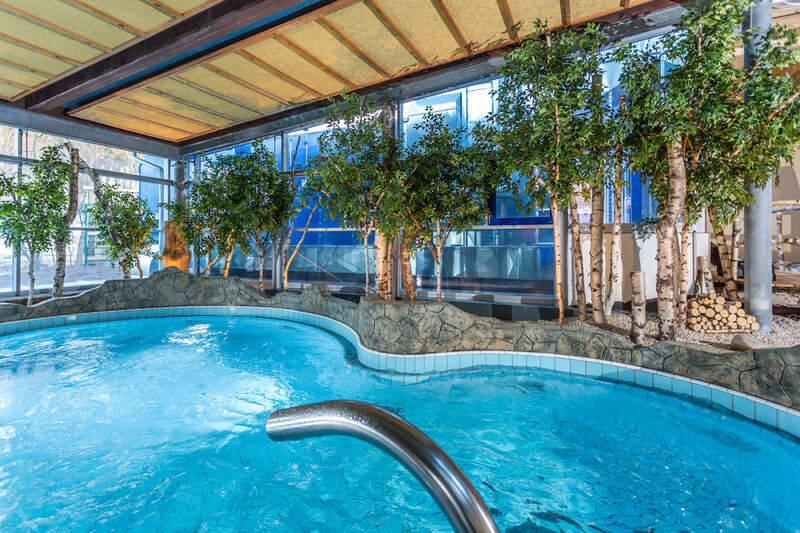 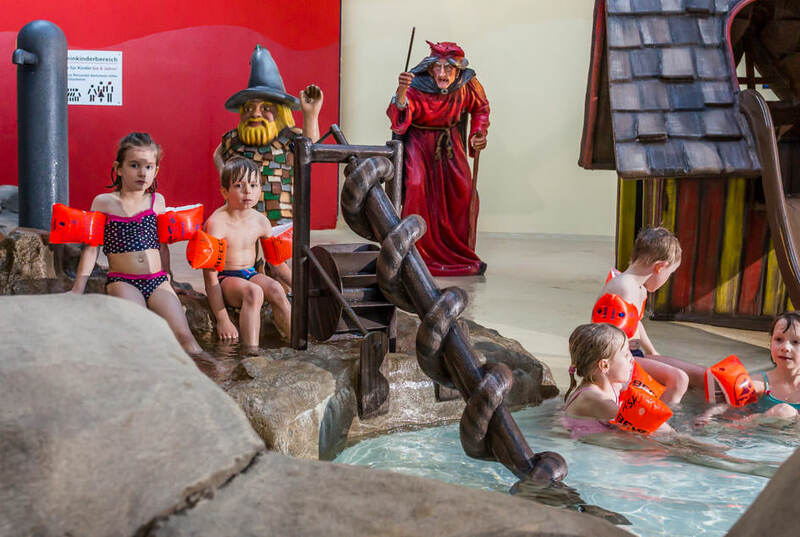 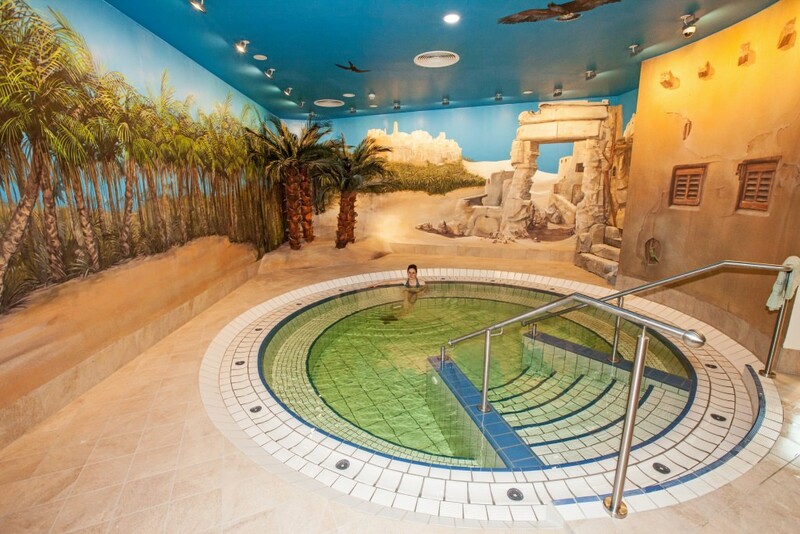 Swim areas, thermal baths and spas are places of peace and relaxation. 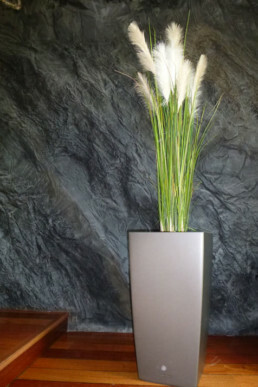 Therefore the design should conjure up an atmospheric but discreet ambiance. 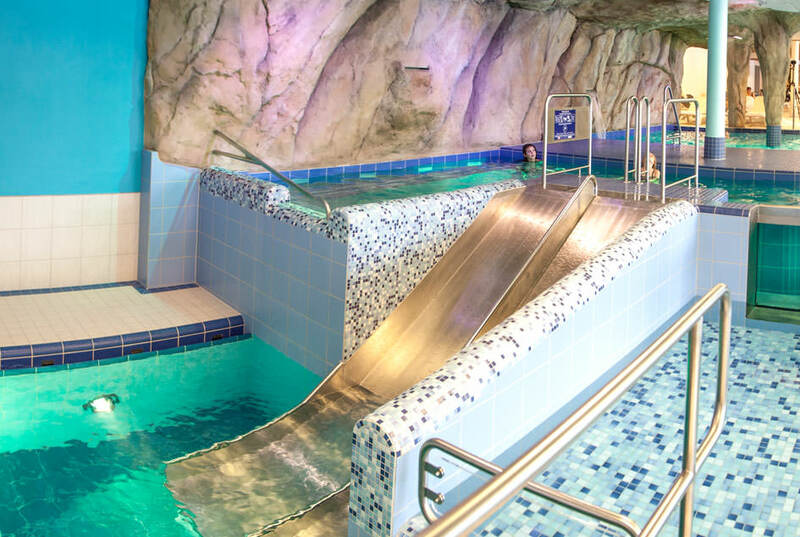 But this does not apply to fun water parks! 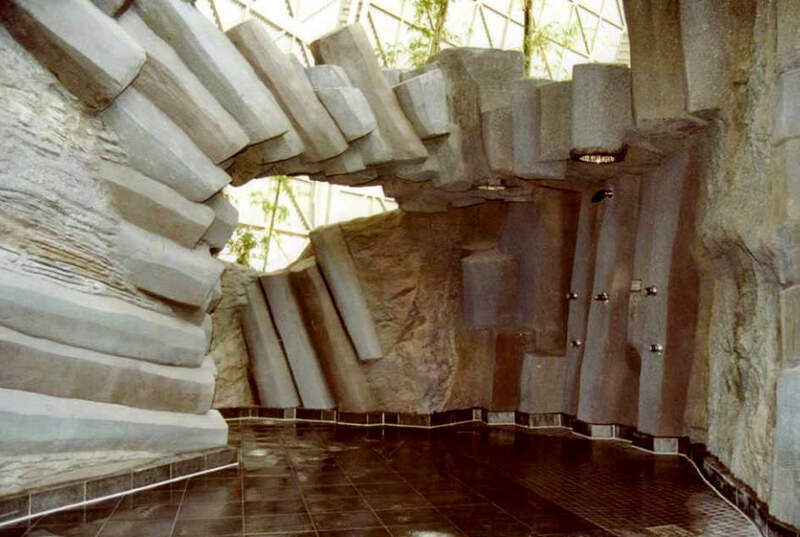 There an exciting design is required. 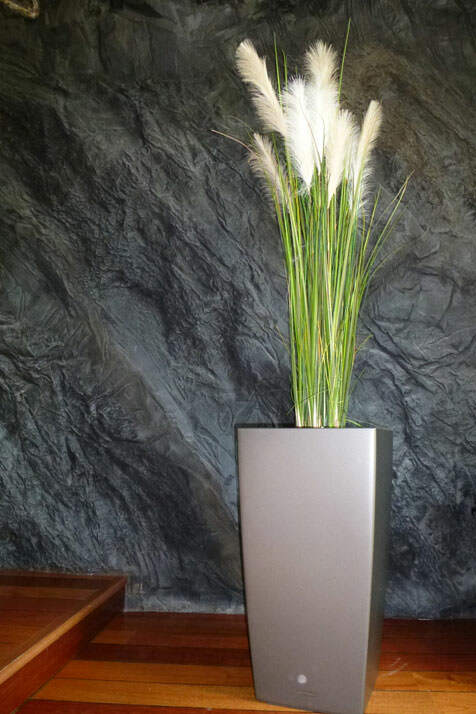 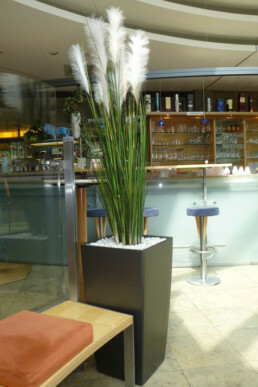 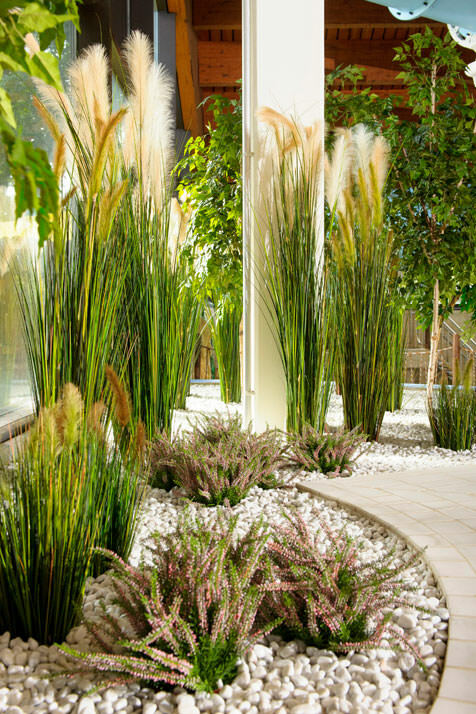 With rock and plant arrangements we create the perfect flair for any demand. 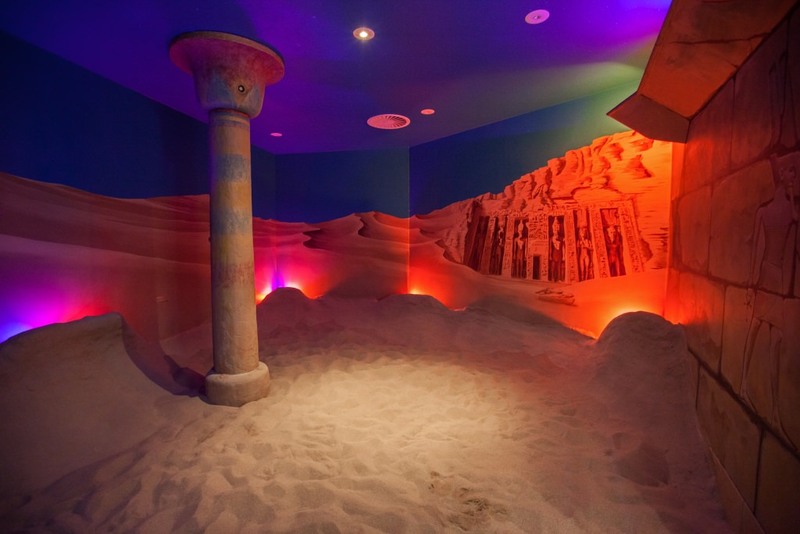 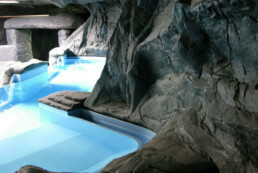 We also offer saunas and snow caves. 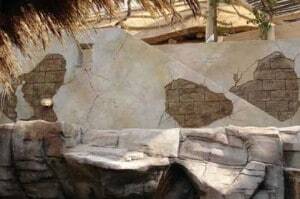 Creation of a fantastic time journey through the spas of cultures, thousands of years old, with wall painting using paintbrush points of sometimes no larger than three millimeters. 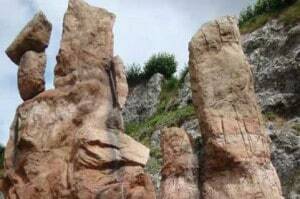 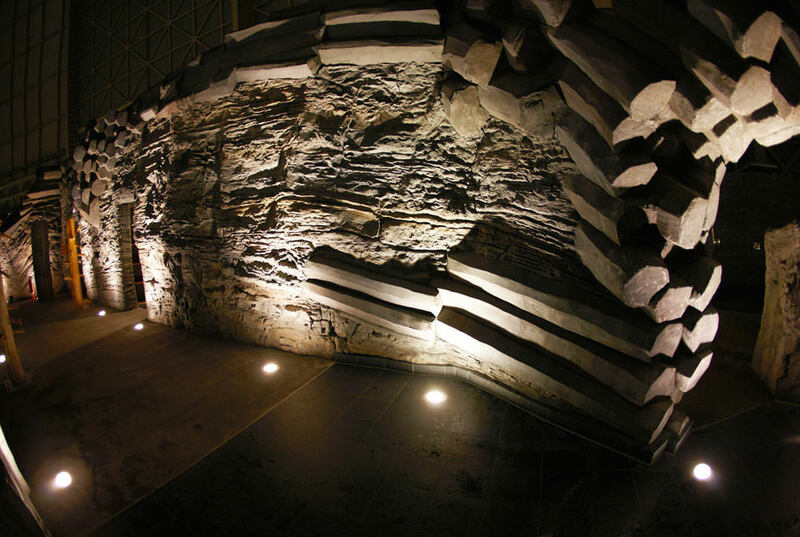 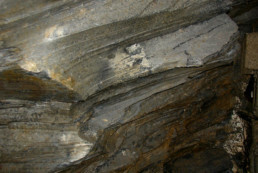 Replica of geologic rock formations of the Fichtelgebirge region in the sauna area. 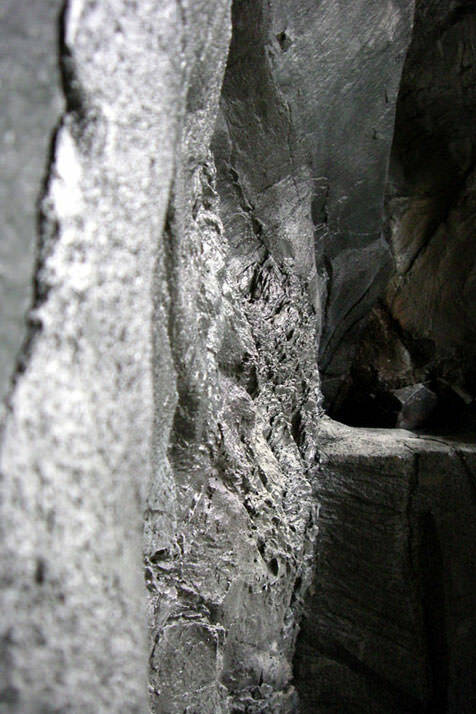 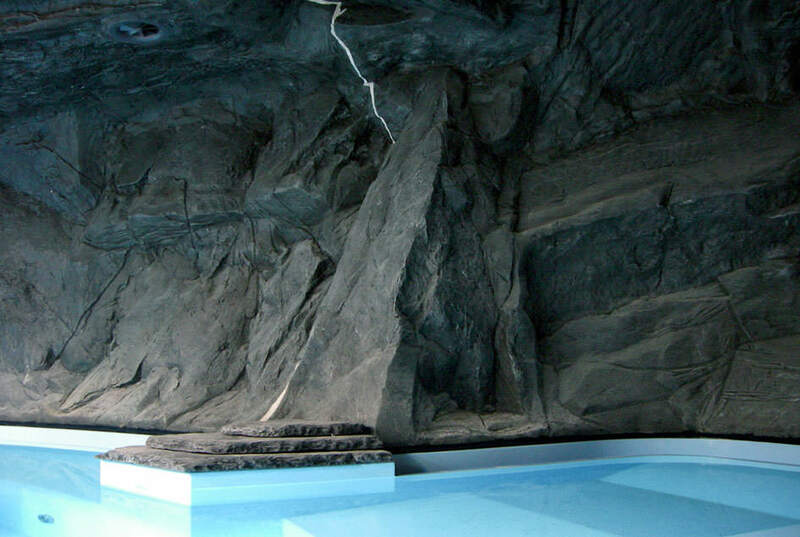 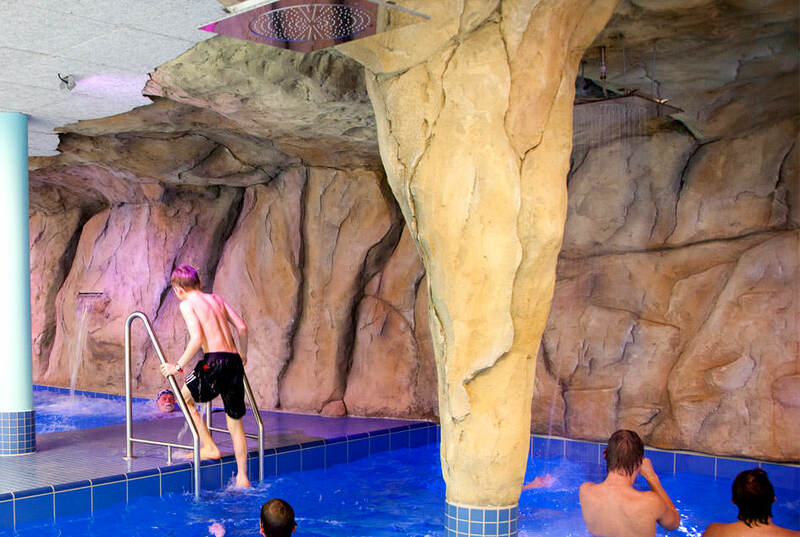 Shower outdoor area made of erratic blocks where loose pieces of rock open up to a cave – as after a rock fall, similar to the real example: the“Nusshardtstube”- a famous cave in the Fichtelgebirge region. 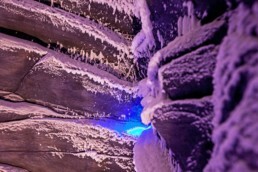 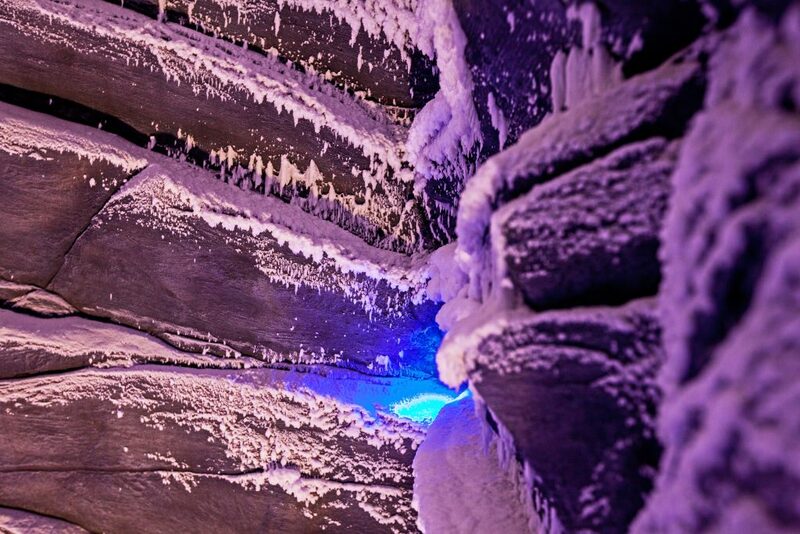 Rocks in a sauna area created as an old mine-tunnel, in the granite steam bath and in a snow cabin. 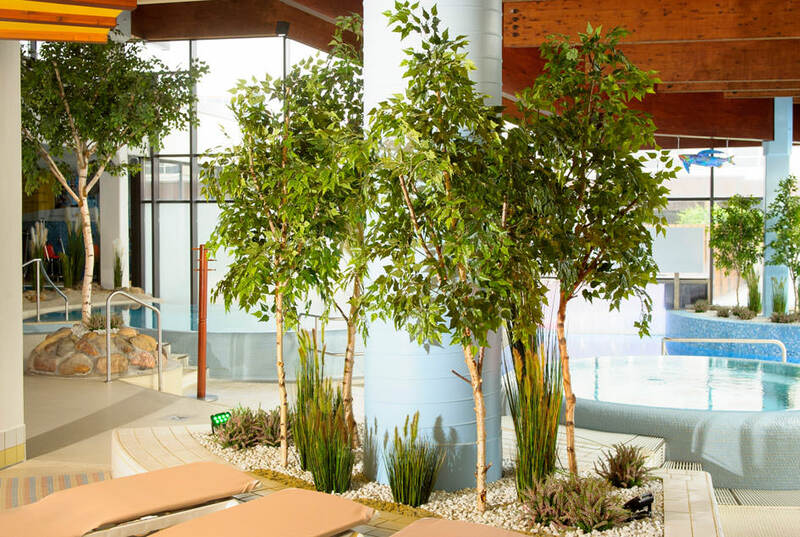 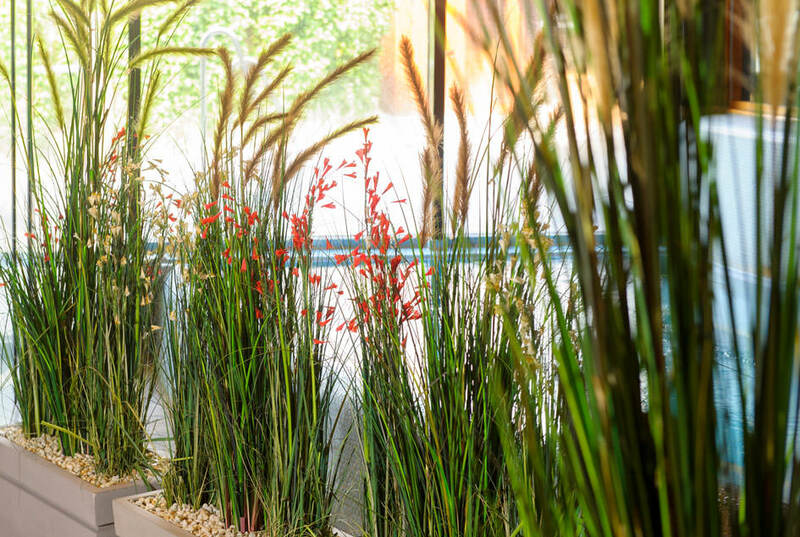 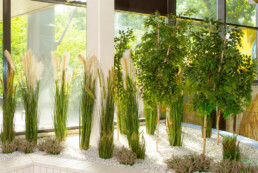 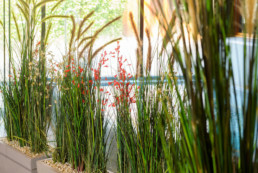 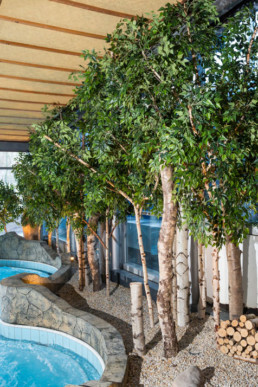 Our skillfully placed arrangements made of artificial trees and textile plants run through the whole theme world and create a harmonic, green environment turning the stay at the “Salztherme” into an extraordinary experience. 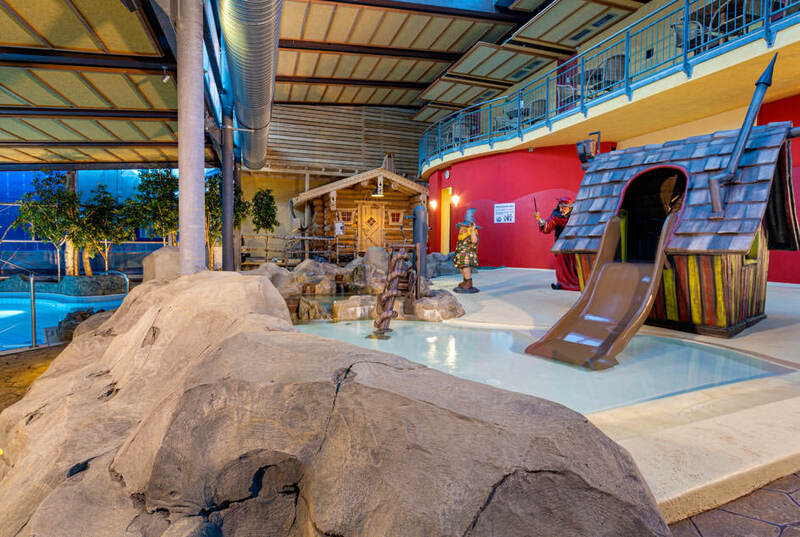 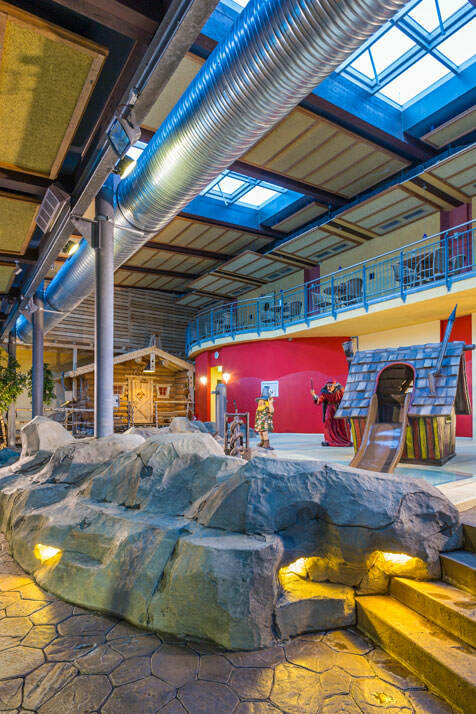 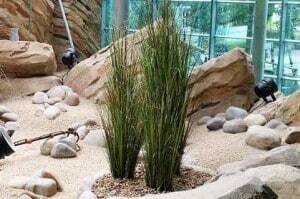 Creation of a padding world for children with water games made of rocks, different wall claddings, plant edges and rock cliffs. 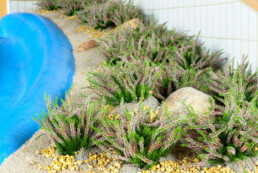 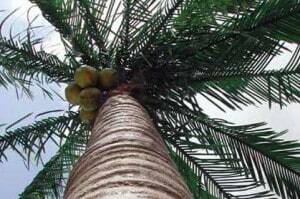 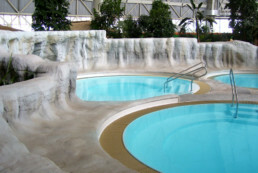 Additionally artificial plants and trees were placed around the pools. Artificial rock cladding of columns and creation of rock as well as an aqua bouldering wall in the new fun fountain. Creation of divers textile plant arrangements, placed at different spots in the swim and spa area. 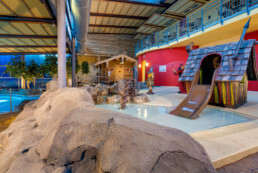 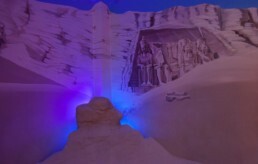 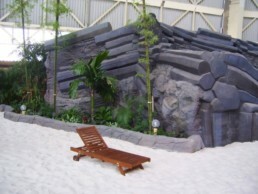 Replica of a rock cave and a wall design in a slate optic as an edge of the pools, freestanding rock formations as well as a waterfall with changing illumination, including coloration. Also divers textile plant arrangements in different areas of the thermal bath. 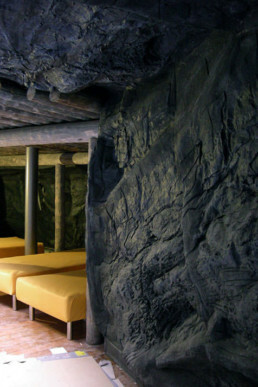 Replica of the Alcantara Canyon in Sicily through rock walls and hexagonal stelae with basaltic rock appearance and floor design. 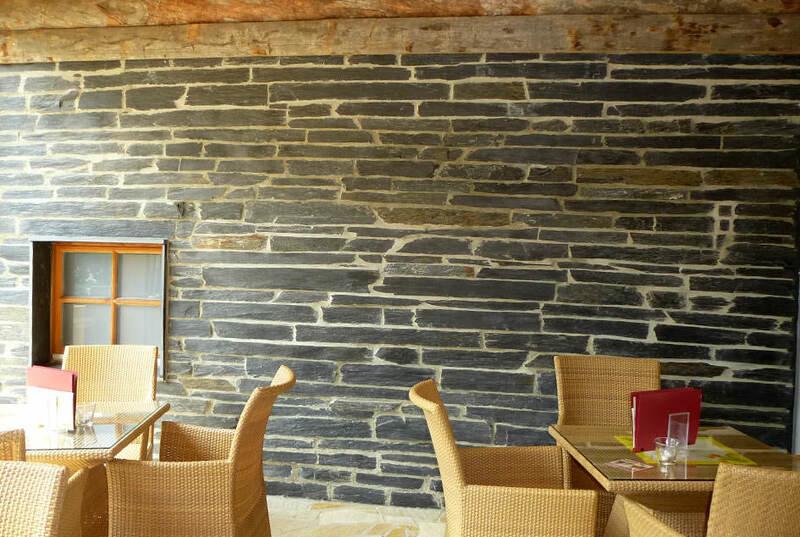 For this project the sinter terraces of Pamukkale, Turkey served as original model. 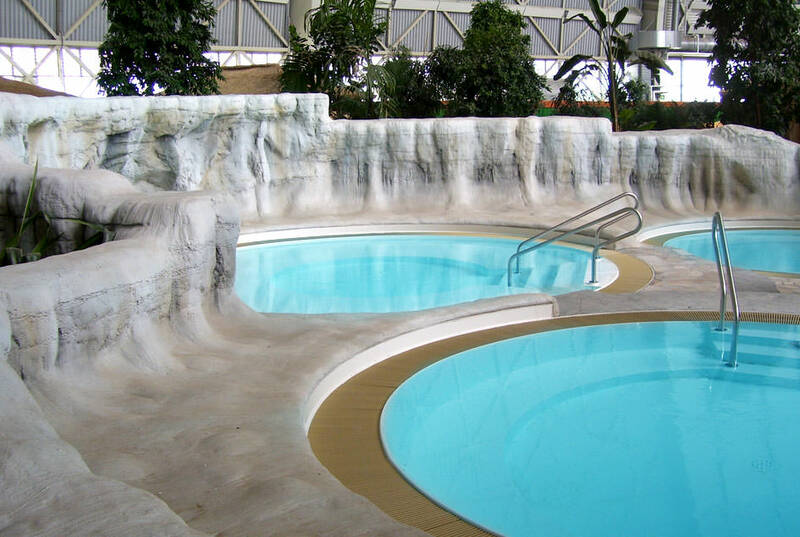 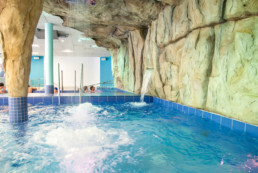 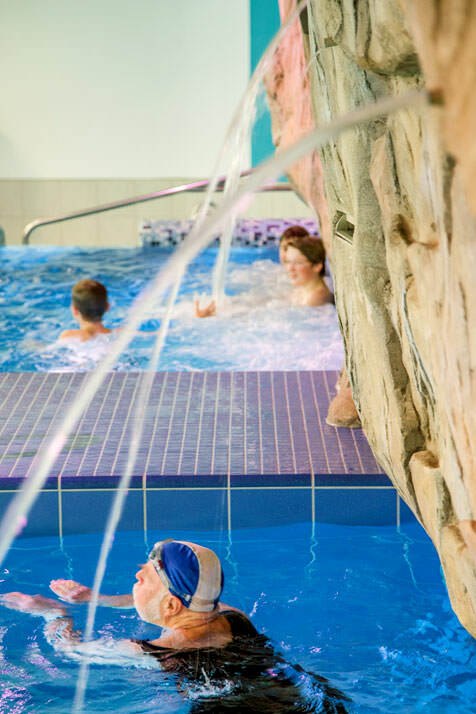 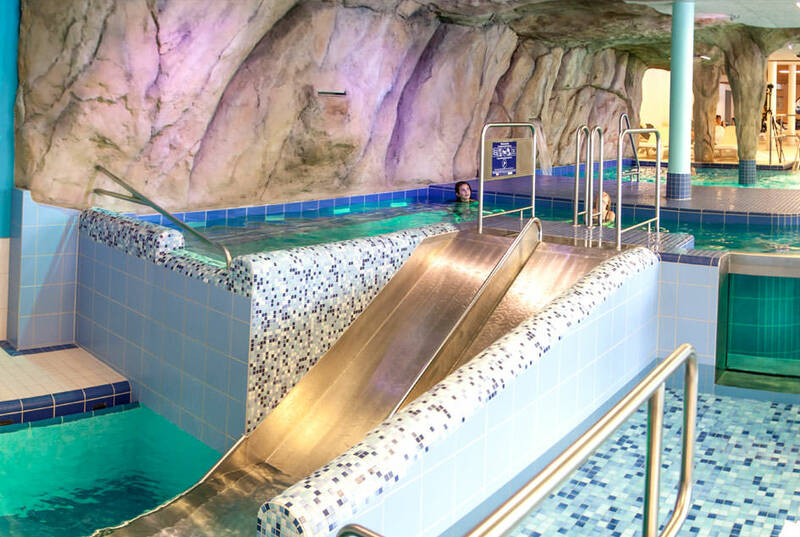 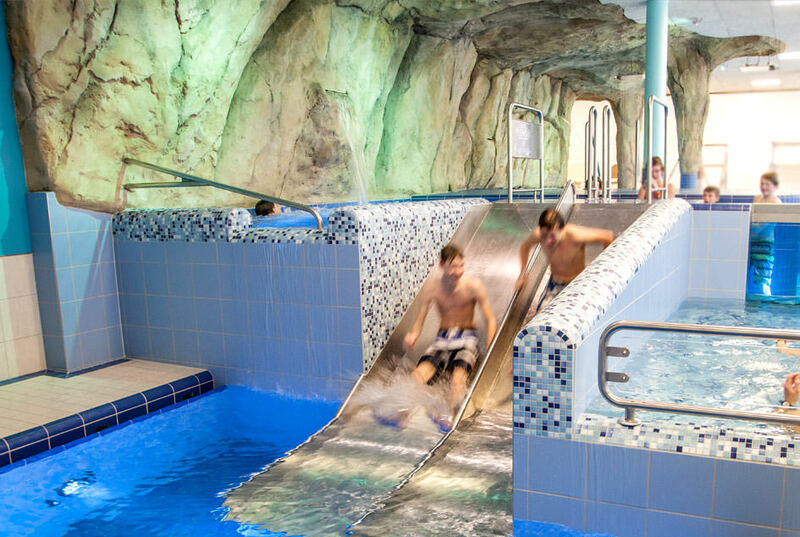 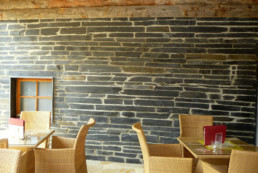 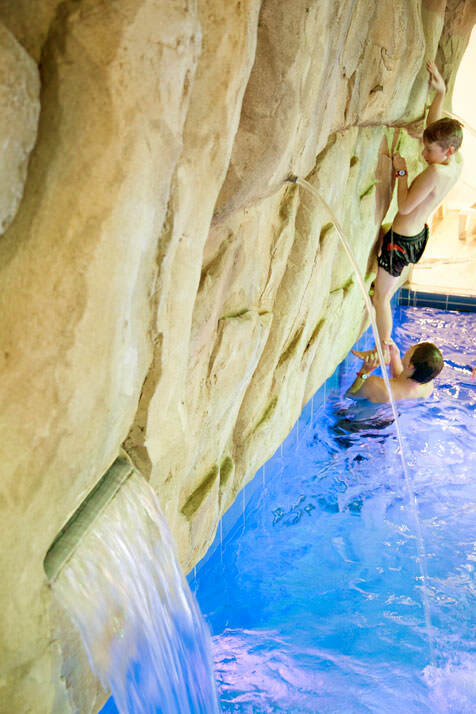 Even and polished rock walls up to a height of 3,50 m were designed for the separation of the pools.